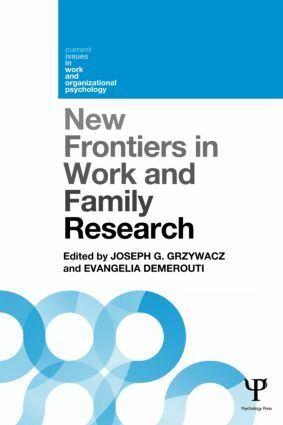 The purpose of this volume is to showcase alternative theoretical and methodological approaches to work and family research, and present methodological alternatives to the widely known shortcomings of current research on work and the family. The chapters in Part Two consider a number of methodological issues including: key issues pertaining to sampling, the role of diary studies, Case Cross-over designs, Biomarkers, and Cross-Domain and Within-Domain Relations. Contributors also elaborate the conceptual and logistical issues involved in incorporating novel measurement approaches. The book will be of essential reading for researchers and students in work and organizational psychology, and related disciplines.